Waiting for another android phone launch from Samsung, your wait is over because Samsung has announced the impending launch of Samsung Galaxy Grand phone at upcoming CES 2013. This phone is for those fellows who are looking for bigger screens, but at affordable and cheaper price in comparison to Galaxy Note. 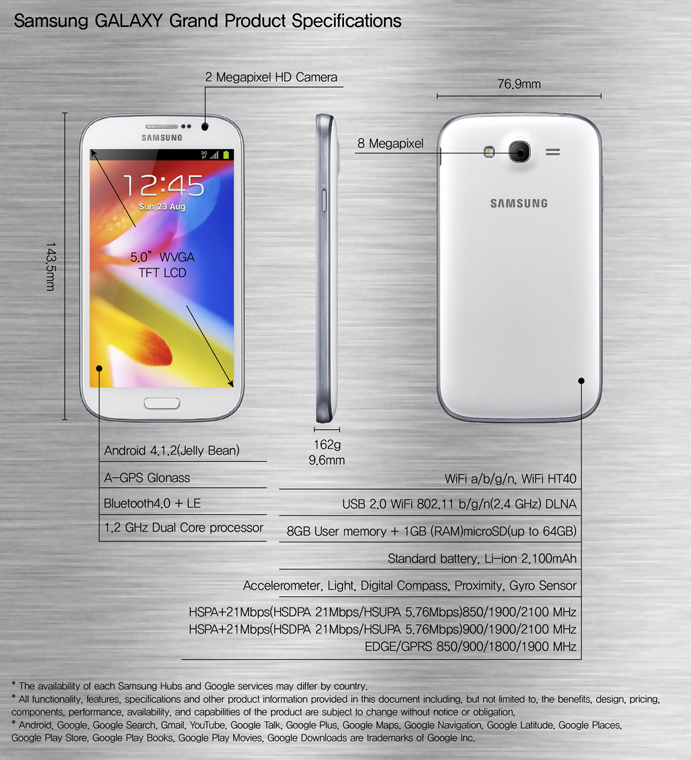 So here comes Galaxy Grand. 5 inch wvga display with resolution of 800*480 pixels. So, the display is kinda average here. It is not of the best quality. 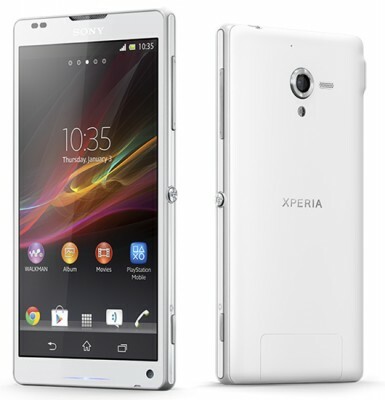 We guess this should help in setting a more affordable price for this handset. Pixel density will of course be lower i.e. ~186 ppi. 9.6mm thick, 162gram weight. 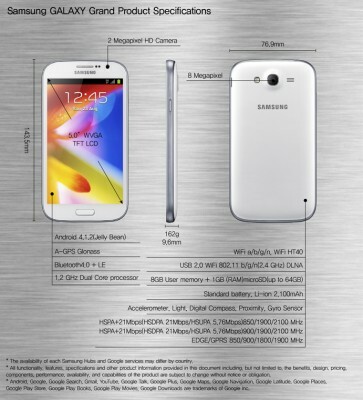 So, design wise it follows the look and feel of Galaxy S3. 1.2GHz dual-core processor, which is sufficient for most of the apps and games to run on phone. The processor is not quad-core, but from the real experience, I can say that the dual-core is also powerful enough for most of the smartphone needs. Amount of RAM is not clear, but we do expect it to be about 1GB, given most of the specs are matching power of galaxy s2. Internal storage is limited to 8 GB (unlike galaxy s2, which has 16GB of internal memory). Support for external micro-sd of upto 64GB is there. Camera lens is of 8 megapixel with backside illumination feature for supporting good lowlight photography. It also supports FULL HD 1080p video recording. Front camera of 2megapixel supporting 720p video recording as well as video-calling. WiFi, Bluetooth, 3G(Download speed of upto 21mbps, uploading of upto 5.76mbps), and bunch of sensors are there as usual. 2100 mAh battery which is good. 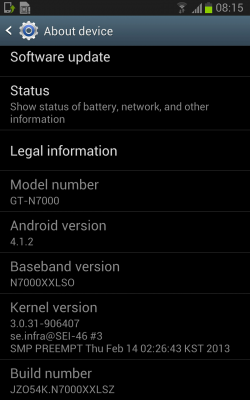 Android 4.1.2 Jelly Bean OS out of the box. Other software features include Multi-window, S Voice, Pop up Play, Smart Dial, Smart Alert, etc. The best thing is that Samsung Galaxy Grand will launch in two variants, one being the dual-sim model (GT-I9082)with dual standy supporting two sim-cards so that you can manage two mobile numbers on the same phone, the other one being the single sim regular version(GT-I9080). So, finally we’re getting powerful dual-sim android phone featuring specifications good enough as I was not happy with Samsung Galaxy S Duos. The single-sim Samsung Galaxy Grand will be available at cheaper price, but will be released after the release of Samsung Galaxy grand dual-sim model. 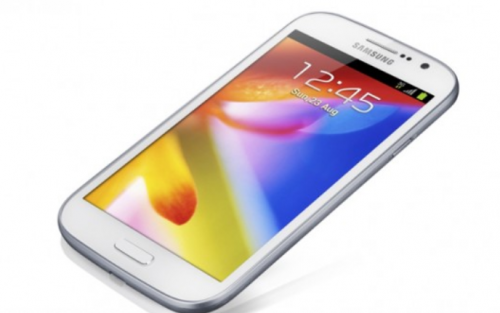 Samsung Galaxy Grand is released in India at price of Rs.21,500. Wait, we’ve heard that dual sim doesn’t have dual active standby which means calls to second sim card will be forwarded to the active sim card, so do confirm this before buying. 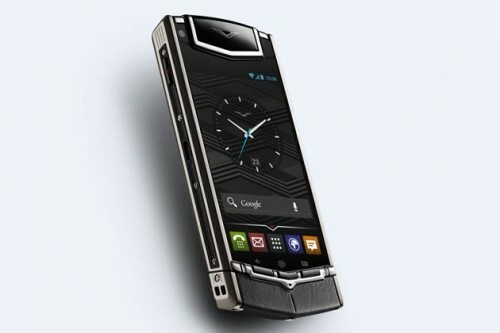 This phone looks promising and being an Indian, I am really excited about this powerful dual-sim android phone. The screen size, dual-sim capabilities, powerful specification – all these makes this handset prospectively selling in Indian market or other markets drive by similar sense.